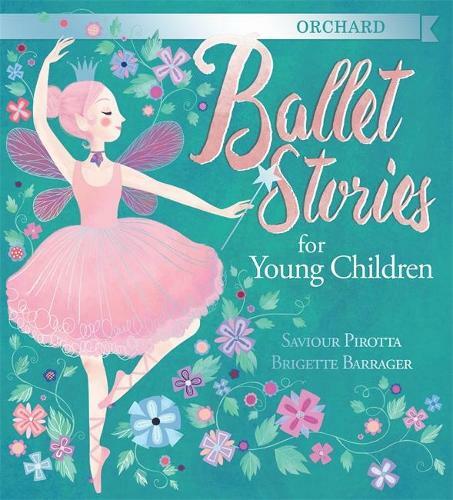 Discover all the magic of the ballet with this collection of classic tales and meet enchanted princesses, magical birds, dancing dolls and wicked witches. Travel to a magical kingdom of sweets, twirl at an enchanted fairytale ball, and discover the story of a sleeping princess, woken after 100 years by her true love's kiss. This beautiful gift collection contains six of the best-loved stories from the ballet: The Nutcracker, Swan Lake, Sleeping Beauty, Cinderella, Coppelia and The Firebird. Award-winning storyteller Saviour Pirotta retells the classic tales in an accessible style that's perfect for young children, while New York Times bestselling artist Brigette Barrager's beautiful full-colour illustrations bring each magical scene to life. The perfect gift for little ballet dancers and ballet fans.